If you are looking for a vehicle that makes you look good with a luxurious and sophisticated design and offers immense power and performance then you have come to the right place! The Dodge Challenger gives you all this and so much more! 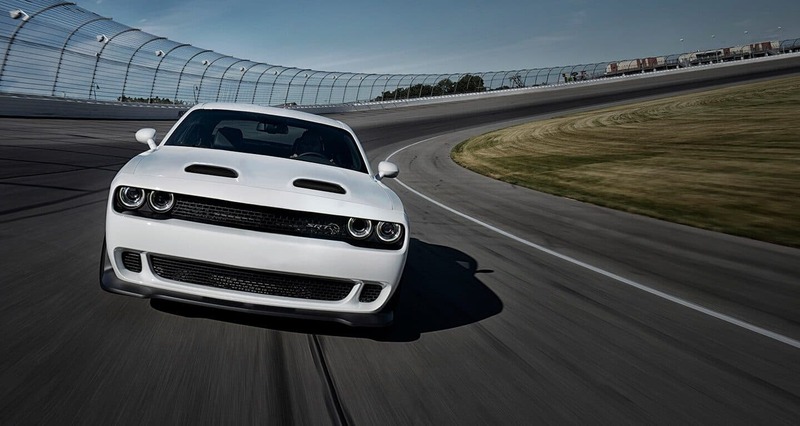 Built with speed on the mind, the Challenger takes the muscle car form to the next level. Friends and family can enjoy the ride too thanks to the expansive rear seat and trunk and the outstanding infotainment system. 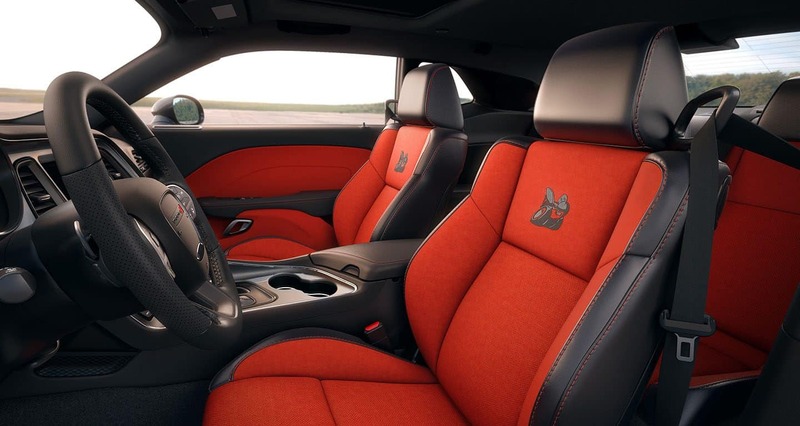 The Challenger is coming into the 2019 model year with a whole new trim level known as the Hellcat Redeye and other trim options have been shuffled for a simplified lineup. We've got more to talk about so keep reading! Are there any standard features available for the 2019 model year? There are now seven major Challenger trim levels for the 2019 model year. 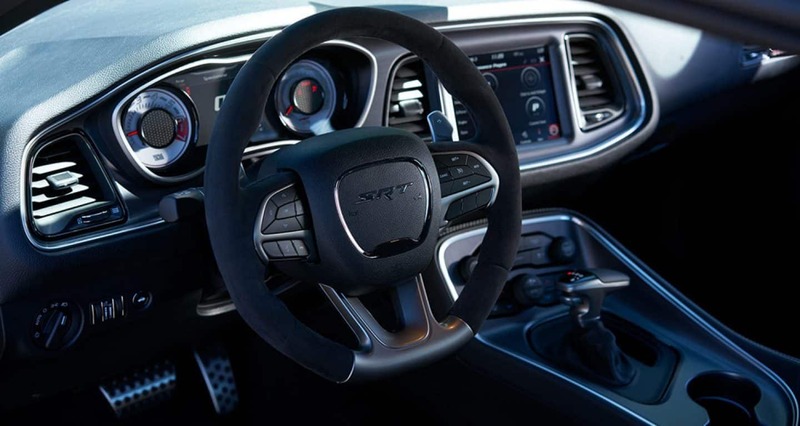 The SXT starts of the models with standard features like a power-adjustable driver seat, 18-inch wheels, a rear seat with 60/40 split for additional cargo room, keyless entry and ignition, a 7-inch touchscreen, an auto-dimming rearview mirror, a six-speaker sound system, and Bluetooth. Further standard features include dual-zone automatic climate control, a rearview camera, two USB ports, smartphone integration, and a leather-wrapped steering wheel. As you climb up the trim level lineup you are going to find features like sporty suspension options, performance related in-car apps, configurable driving modes, Brembo performance brakes, a larger 8.4-inch touchscreen, premium sound systems, exclusive styling enhancements, and so much more! 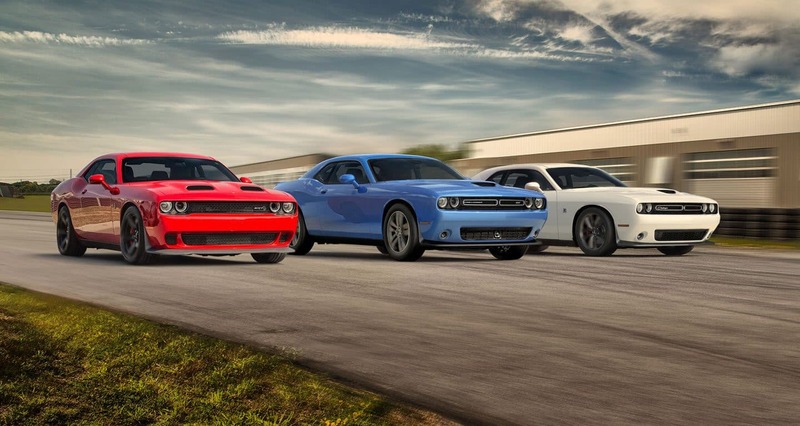 What does the Challenger's engine lineup look like? 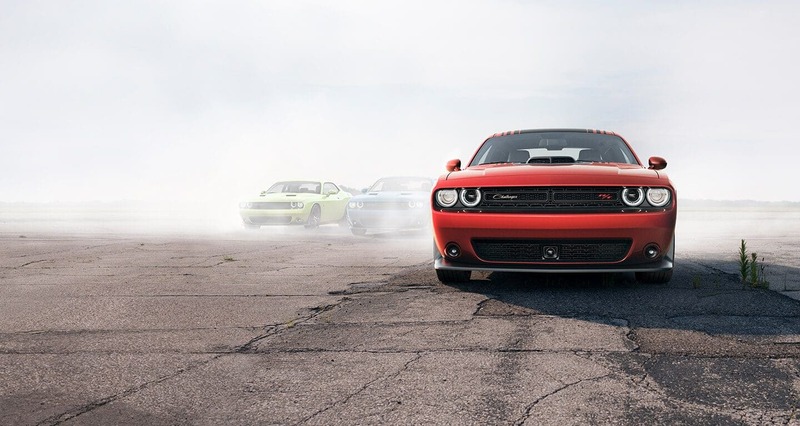 The 2019 Challenger's powertrain lineup offers five outstanding engines that are going to blow your mind! Starting us off is the 3.6L V6 that produces 305 hp and 268 lb-ft of torque. This engine can be configured with both standard rear-wheel drive and available all-wheel drive. The second engine offered is a 5.7L V8 that generates up to 375 horsepower and 410 pound-feet of torque depending on the transmission it works with. The third engine, a 6.4L V8, deploys 485 hp and 475 lb-ft of torque. 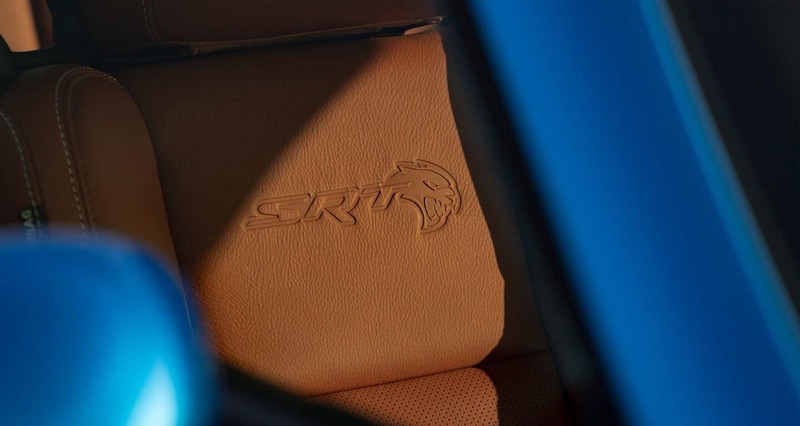 The fourth engine powers just the SRT Hellcat. This supercharged 6.2L V8 produces 717 hp and 656 lb-ft of torque. The final engine, a supercharged 6.2L V6 Hemi, finds its home under the hood of the new SRT Hellcat Redeye model, cranking out 797 horsepower and 707 lb-ft of torque. Most engines are mated to an eight-speed automatic transmission. All V8 engines (except the Redeye) can be outfitted with a six-speed manual transmission. Can you tell me about the safety features? No matter where life takes you, the Challenger will have your back. This guardian of a muscle car offers over seventy safety and security features to keep you protected from the track to the highway and everywhere in between. The body of the Challenger is created with high-strength steel to create a solid frame that you can depend on in a collision. It also includes front and rear crumple zones to help redirect crash energy away from passengers inside. Dodge installs advanced airbags into every single Challenger for additional protection. Stand out features for the 2019 model year include the standard rearview camera, available Full-speed Forward Collision Warning, available adaptive cruise control system, blind-spot monitoring, and automatic high-beams. There are so many more features that will help you feel safe and secure during your drive! 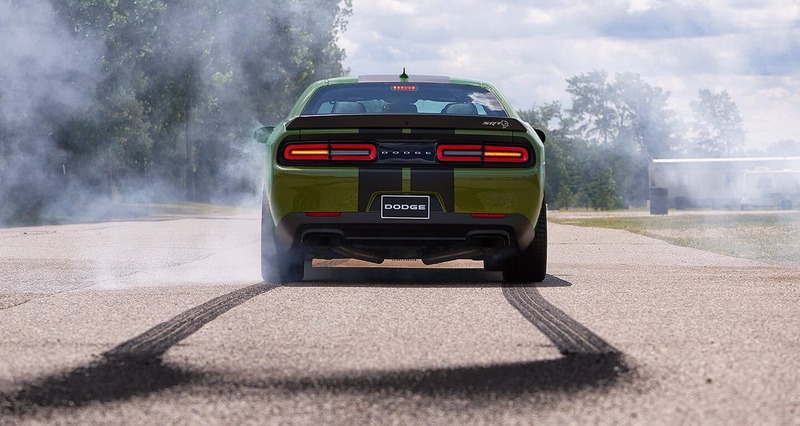 The 2019 Dodge Challenger is a unique muscle car, larger than others on the market so more people can enjoy the fun! If you want to learn more about the Challenger and all that it has to offer come on down to the dealership today. You can check out the models we have in stock and take a test drive to hear the engine roar yourself!